There are more than 60 species of opossum. The species that many people think of when hearing about this animal is the common opossum, also known as Virginia opossum. However, these are two different species. The common opossum’s scientific name is Didelphis marsupialis, and the Virginia opossum’s scientific name is Didelphis virginiana. 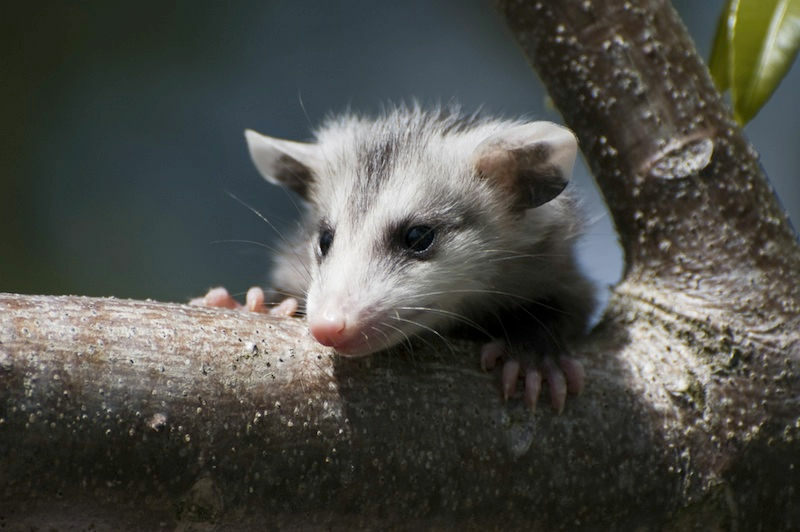 These types of opossums have a cone-shaped nose with a pink tip, a long hairless tail, and white, gray and black fur. Opossums are the only marsupial found naturally in North America.